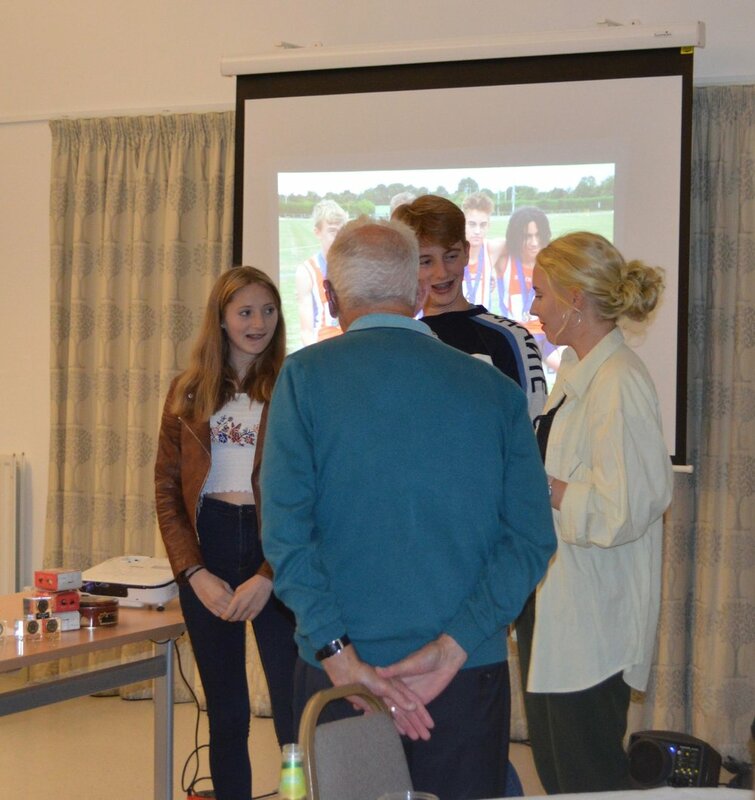 If you are aged 14-24 and interested in becoming a Game Changer, come along to a brief meeting after training on Tuesday 8 Jan in the club house to find out more. Game changers are young volunteers who can learn how to become coaches, officials or take on other roles in the club, and earn free gifts such as water bottles and backpacks for hours spent volunteering. It’s also rewarding, enjoyable and a way to give back to the sport. If you can’t make next Tuesday then let me or Charlotte Webb know that you are interested at training or via email. Ideal Christmas presents for your favourite athletes! 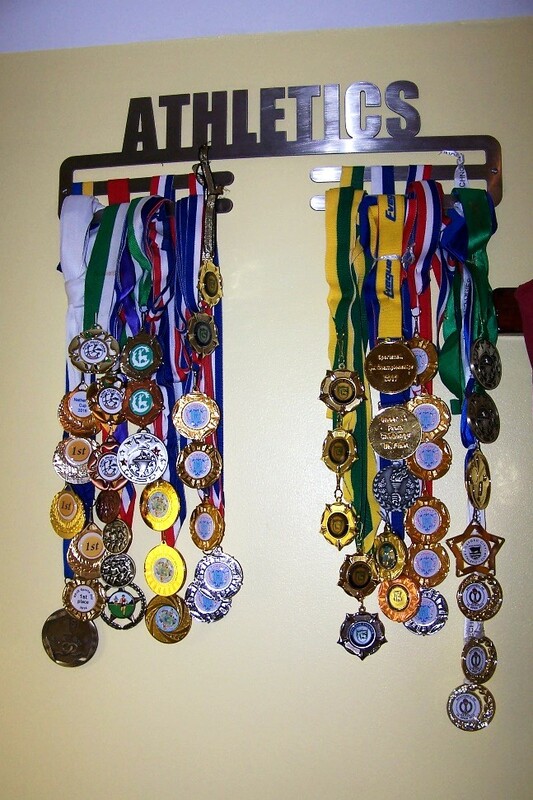 Each hanger can hold up to 40 medals – simply screw the hanger to the wall and slide your medal ribbons onto the arms of the hanger. Adjust the length of the ribbons to make maximum use of the space. Alternative wording to ‘Athletics’ can be specified. The hangers can be bought by cash or cheque (made payable to Reading AC) from Bob Allden in the Club Office at the top of the stands behind the announcer’s box on any Tuesday or Thursday evening during training sessions. BBC Radio 5 Live is looking for athletes to interview for a prerecorded broadcast which will air on Sunday 9th December. Our club kit suppliers will be at training on Tuesday with plenty of samples to help you pick the correct size for Xmas presents. We also have a limited stock of old style club hoodies for sale from the office at a discount price of £10 each, sizes from Medium to XL. This is to let you know of a few dates that the track will not be available for training. Please check with your coach if they will be making alternative arrangements for these dates if they affect you. The track is not available on Sunday 11 Nov and over the Christmas period it is not available Friday 21 Dec and closed Christmas Day, Thurs 27 Dec and 1 Jan. It is open as usual on Sunday 30 Dec. The winter fixtures for cross country, road running and sportshall are published under the competition tab on the Reading AC website. Indoor and other fixtures are being added as information becomes available. On Friday night, the U15 girls broke the club 4x300m relay record, running 2:57.8.